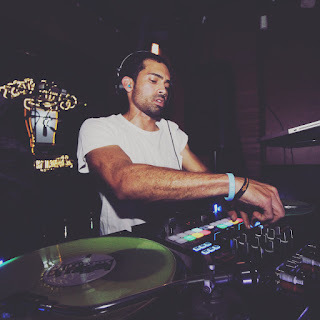 Hailed as one of the hardest working independent house music DJs in California, USA, Bossa Nova is always working on something new. His popular radio show, "Outside the Box" on Wild1 Radio is still going strong, drawing in more and more fans with every new episode as it spreads like wildfire accross the US and beyond, his monthly club night in Los Angeles, "We Don't Riot, We Just Dance" is following in the same footsteps, his weekly club nights at Mom's Bar LA is drawing in bigger crowds every week, and his regular gigs across the country are also following suit. Last week he launched his latest project, a new podcast called "Innerloop Radio" on iTunes. It's safe to say Bossa is having a really good year and it just keeps getting more exciting for his fans. On the 18th of May he'll be celebrating his birthday at Mom's Bar LA where he performs weekly - it's expected to be a really big night. Details of the event can be found on the Skunk Radio Live Events page.